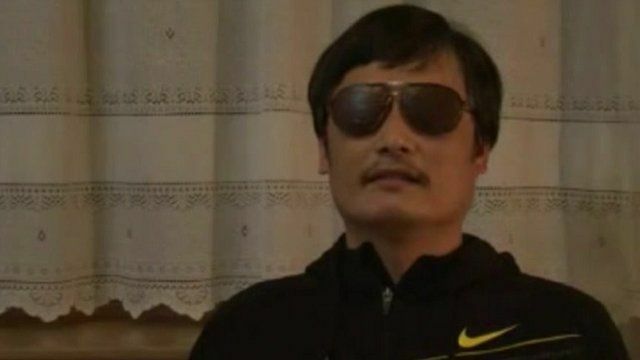 One of China's best known dissidents, Chen Guangcheng, has escaped from house arrest and released a video addressed to Chinese Premier Wen Jiabao. In it he makes three demands, including one that Mr Wen investigate what Mr Chen, who is blind, calls the brutal beating up of his family members. Rights activists say Mr Chen slipped out of his home in Dongshigu town in Shandong province on Sunday. Damian Grammaticas reports from Beijing.